Having a solid and effective online presence is key to the success of any business in this era. 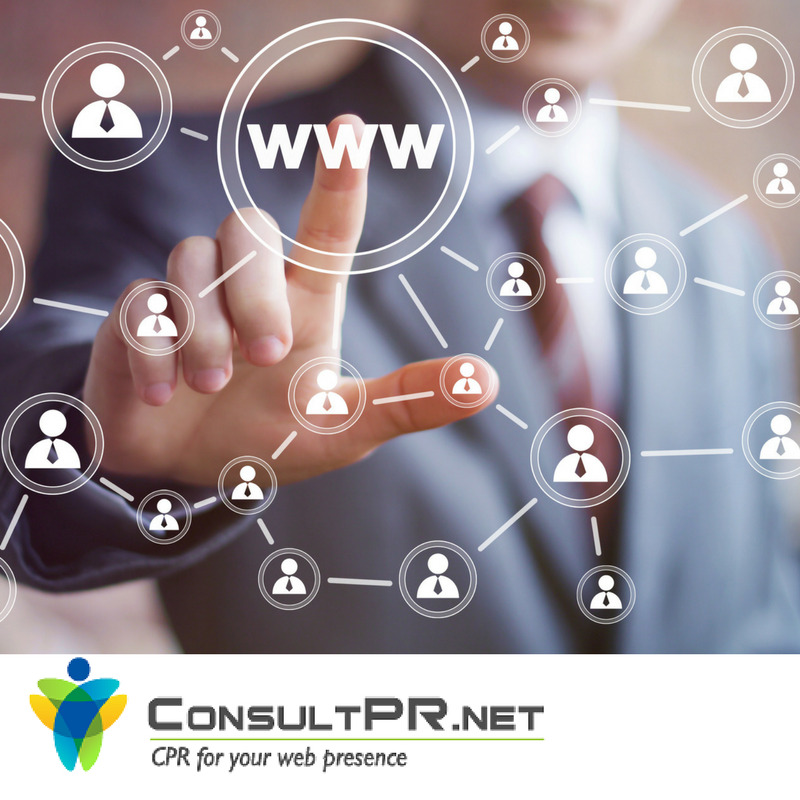 This year, Consult PR wants to help you optimize and maximize your web presence. To that end, over the next few months we will be writing a series of articles that cover the latest trends in digital marketing, websites, cloud software, phone apps and more. This article is the second in this series. In this article we will share four steps you should take to direct free, targeted traffic to your website. Getting listed on Google and other popular search engines such as Bing and Yahoo is one of the most effective ways to direct free targeted, traffic to your site. Search engine submission is when a website is submitted directly to a search engine. Usually, search engines have “spiders” that search the web for sites, but if your site is new or has recently been updated, manually submitting it is the wisest option. Submitting your site to a search engine is a great way to promote your site and improve rankings. Most businesses clamour to submit their site URL’s to Google in hopes of being highly indexed by the world’s largest search engine. While this is a good first step, it’s also essential to submit your site to other large search engines such as Bing and Yahoo. 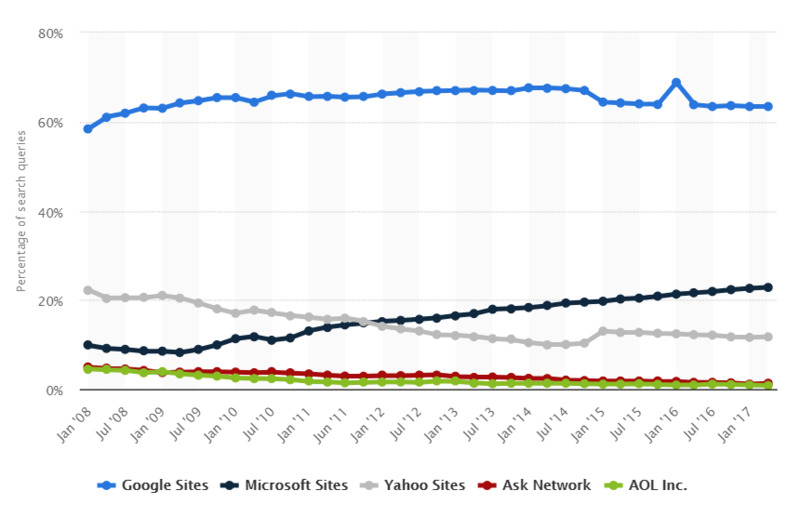 Consider the graph below that shows why Bing and Yahoo should also be priority. According to this graph from statista.com, Bing and Yahoo combine to provide approximately 30% of search traffic. This means if you haven’t submitted your website to Bing and Yahoo, you’re likely missing out on 1/3rd of the potential organic traffic that could be coming to your website. Bing Webmaster Tools has made submitting your website very easy. At Bing Webmaster Tools, business owners can submit their website to both search engines simultaneously. Bing Webmaster Tools allows you to easily submit your website and the sitemap (which includes all URLs of the website) by logging in here - https://www.bing.com/toolbox/webmaster/. Considering that we are talking about 1/3rd of your site’s organic traffic, you should periodically submit your sitemap to BIng Webmaster Tool so that the search engines can continually reindex and be aware of new changes to your website. Submitting your XML sitemap to Google should be the first thing on your to do list, once you have a new website, or new meta content, or even new pages added to your site. Letting the world's leading search platform know that your website is out there or that you’ve added new pages or changed some pages’ content or meta content is vital. Go to https://www.xml-sitemaps.com/ and input your website URL and click Start. It will take a few moments for you to be able to view your sitemap and download an XML file. This XML file is your website sitemap that can be read by Google. Log in to Google Webmasters, add your website and then go to sitemap submission section to put in the URL of your sitemap and submit. Once the sitemap is submitted, Google will index all the URLs submitted. You can log in to Google Webmasters occasionally to check on the sitemap page, how many URLs have been indexed out of the ones you had submitted. As per Apple there are 1 Billion iOS Devices out there. Let's say that statistic is too far fetched and this is 60% true. So 600 Million iOS devices. Now let's presume 50% of those devices have Apple Maps app on it. This still lands us on active phones with 300 Million devices. 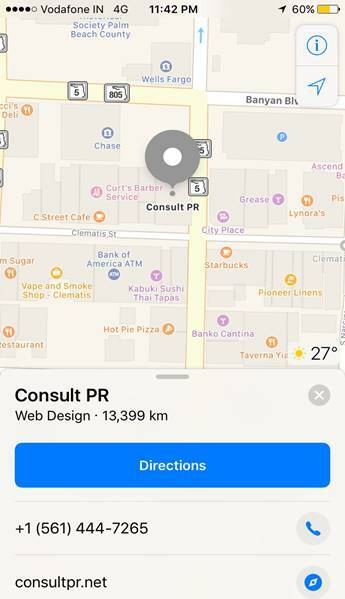 When we look at such numbers, there is absolutely no reason why any business should not spend some time to get their Business Listed on Apple Maps. Then you can add various details like Hours of Operations, Company Website and Social Media Accounts. It is actually quite likely that Bing has a listing for your business already. Use Bing Places for Business to claim an existing listing or add a new one. If your business has multiple locations you can add them in one go using the bulk upload tool. Claiming and verifying your business on Bing allows you to show persons who are searching for you the right information about your business. Consider the graphic below which shows site traffic on popular search engines from January 2008 through January 2017. Bing accounts for over 20% of the search volume. Which means 1 in 5 people are looking for information over Bing. That number just makes having a Business Listing over Bing pretty important. Also with a direct connection between all Windows PCs and Bing, the usage of Bing has been increasing ever since. To add your business on Bing, go to https://www.bingplaces.com/DashBoard/Home?from=HomePage . Once there, Add or Verify your existing business listing. Once you’ve gained access to your business, populate the listing with various information about your business such as website, hours of operation, address, phone number, etc. Ensuring your site has been submitted to the major search engines is the right step in the direction of increasing your business’ online visibility. Contact Consult PR to find out more about our digital marketing services. We can submit your site to Google, Bing, Yahoo and have it listed on Apple Maps. Our team is experienced and knowledgeable in creating highly effective digital marketing campaigns. We hope that you have found the second in this series to be informative and helpful.